99 shoes found. Page 1 of 5. 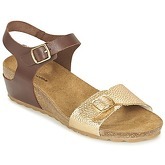 Brown gold sandals (also available in Black), leather upper, lining and insole, rubber sole. 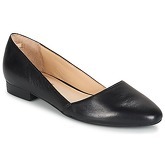 Black court shoes (also available in Brown), leather upper. 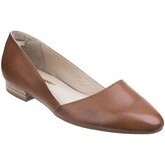 Brown court shoes (also available in Black), leather upper. 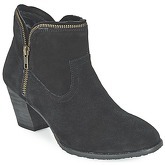 Black boots, heel height 6.0cm, height of upper 10.0cm, leather upper and insole, textile lining, synthetic sole. 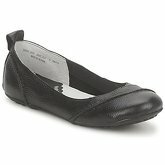 Black ballerinas (also available in Black / White and Camel), heel height 2.0cm, leather upper, lining and insole, rubber sole. Black/white ballerinas (also available in Camel and Black), heel height 2.0cm, leather upper, lining and insole, rubber sole. 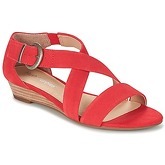 Pink sandals (also available in Black), heel height 3.0cm, leather upper and insole, synthetic lining, rubber sole. Marine boots, heel height 4.0cm, height of upper 8.0cm, leather insole, daim upper, leather lining, rubber sole. 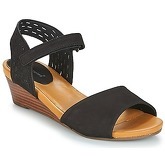 Black sandals, heel height 5.0cm, leather upper, lining and insole, synthetic sole. - an American apparel and footwear brand, logo of which features a nice basset, was founded in 1958. Hush Puppies offers casual apparel and footwear – comfortable, practical and universal – for everyone, in any situation and for every budget. 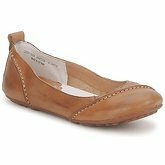 Hush Puppies shoes include ballerinas, pumps, flip-flops, sandals, sneakers, oxfords, boots, low boots, high boots and rain boots. 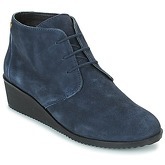 Women’s, men’s and children’s footwear is made of natural leather and suede. 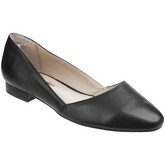 Most models are in classic cut and in subdued colors, which makes shoes of this brand suitable for different dresses. Lovers of unique, fancy design will also find something for themselves. Hush Puppies attaches great importance to innovative technologies, which guarantee comfort and care for feet but also to shoes’ endurance. Worry-Free® suede abrasion-resistant technology and WaveReflex® technolgy guarantee flexibility and easily fit to the foot. 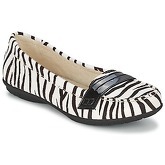 On this site you will find women's shoes in sizes from 3 to 9. There are 99 pairs of shoes starting with price of £44,09; 76 pairs from the whole collection are discounted at this moment. 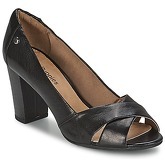 The most frequent shoes in this category are Sandals, Boots, Ankle Boots and Ballerinas. There are 2650 brands, most of shoes comes from Office, New Look, Betty London, L' Autre Chose and Geox. The shoes are available in different colours, mostly in Black, Brown, Blue, Beige and Pink.